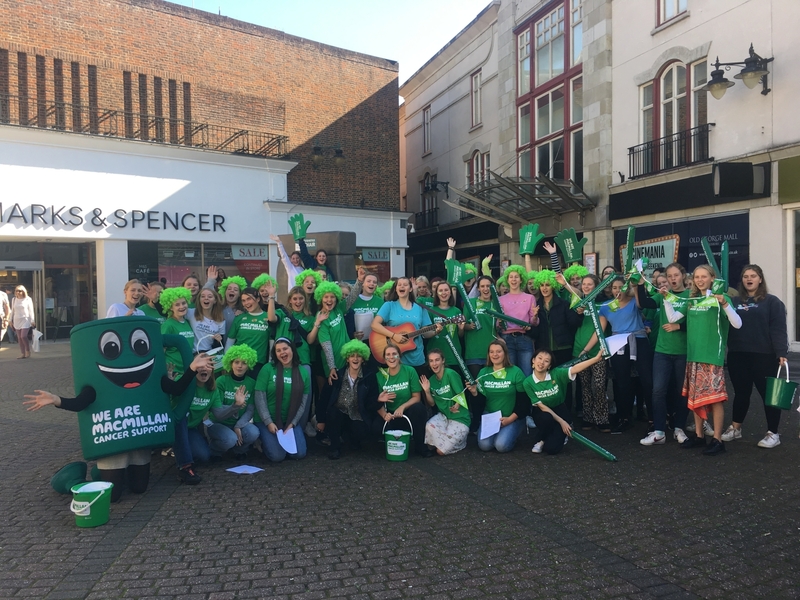 Sixth Form Macmillan Takeover 2018! The Sixth Form Macmillan Takeover was a thoroughly enjoyable experience and one I would definitely like to repeat. Throughout the morning we went down into Salisbury in pairs or threes with buckets and stickers to try and get people to donate. The public in general seemed very interested and donated willingly. It was nice to see the community all coming together for the amazing Macmillan cause. Then at lunch we all sang together and it was really fun! Everyone was wearing something green, be it a t-shirt or a crazy curly wig! The songs are lovely and really embody Macmillan’s values and also those of our school. All in all it was a wonderful thing to do and I’m glad I had the chance to participate!